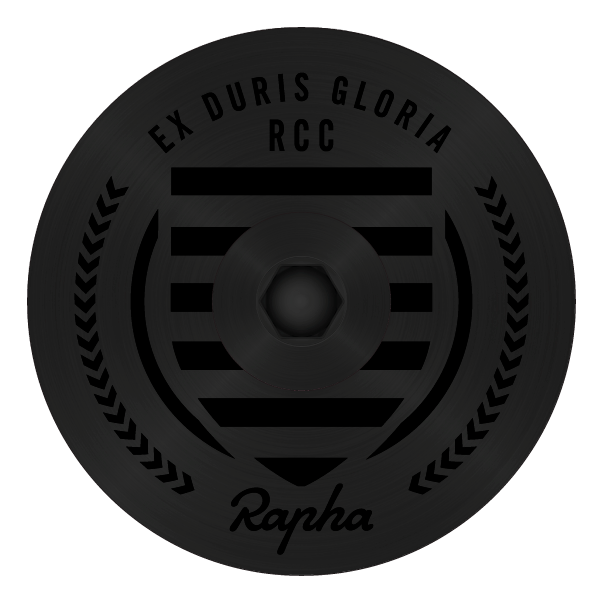 Designed by Rapha, this is the stealth version of a very special headset cap indeed, marked with the iconic EX DURIS GLORIA design, deep laser etched and finished in stealth black onto either a domed or flat cap, coming complete with a black bolt too! Our Headset Caps and Bolts are made by us, by hand right here in Great Britain and delivered all over the world. We look forward to delivering your personal RCC Headset Cap to you. LASER ETCHED HEADSET CAP SPECS . . .
Fitting is easy - all Laser Etched RCC Headset Caps are fitted using a 4mm hex key - finger tight only please. Once we have received your completed order, your custom RCC Headset Cap and Bolt will be produced and posted out to you in just a few days. Please feel free to get in touch at any time, if you have any questions, where we will delighted to help you 24/7/365. To date, we have delivered over 1500 customised RCC Headset Caps and have achieved precisely 100% complete customer satisfaction.